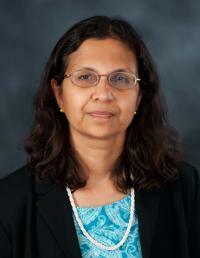 Dr. Veena Y. Poole, Ph.D. graduated from The University of Southern Mississippi in Hattiesburg, Mississippi with a doctorate in school psychology. Dr. Poole is a licensed psychologist and a certified school psychologist in Louisiana. She has an applied behavior analysis background and enjoys working from a behavioral standpoint. She is currently working on becoming a board certified behavior analyst. She has about 13 years of experience working in mental health, inpatient psychiatric settings and residential facilities for individuals with developmental disabilities/autism spectrum disorders. Dr. Poole is currently employed full time at the Office for Citizens with Developmental Disabilities as a Community Support Team Leader. She joined the Northshore Counseling and Wellness Center in 2014 to provide assessment and consultation services for children and adolescents/young adults. Dr. Poole believes that parents and family members want the best for their children and need a knowledgeable and experienced professional to help their child achieve his/her potential. However, one’s child/ adolescent may be having difficulty achieving his/her potential due to challenging behaviors or learning problems. It is her professional opinion that a good assessment leading to sound interventions can help one’s child/adolescent overcome these behavioral difficulties or learning difficulties. Additionally, as a mother of two teenage children and an adult step-daughter, she is aware of the challenges that go with being a parent and being employed on a full time basis. She is committed to making you feel comfortable and well informed about the assessment and intervention process. Services include, behavioral consultation and psycho-educational assessments. Parent training is incorporated into the behavioral consultation sessions to help empower them in meeting a variety of behavioral challenges. Home-based consultation may also be available if the situation warrants it.